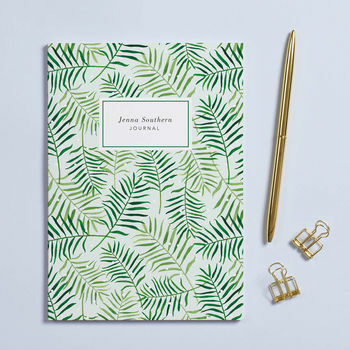 Customisable lined notebook featuring green palm leaves pattern with 37 pages and a soft cover. 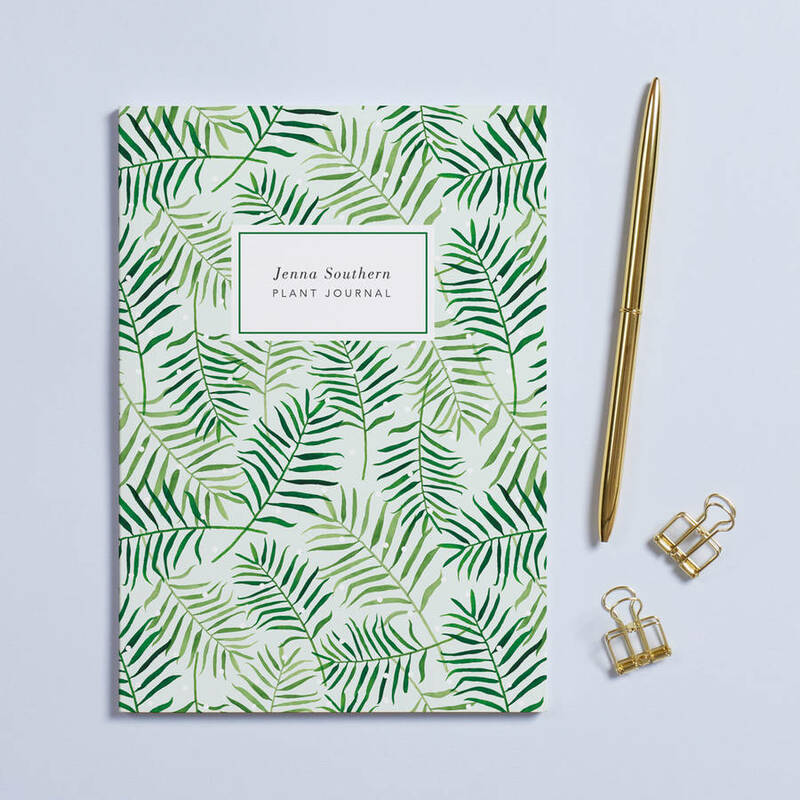 Beautifully designed, fully personalised notebook perfect for jotting down schemes, dreams and ideas. 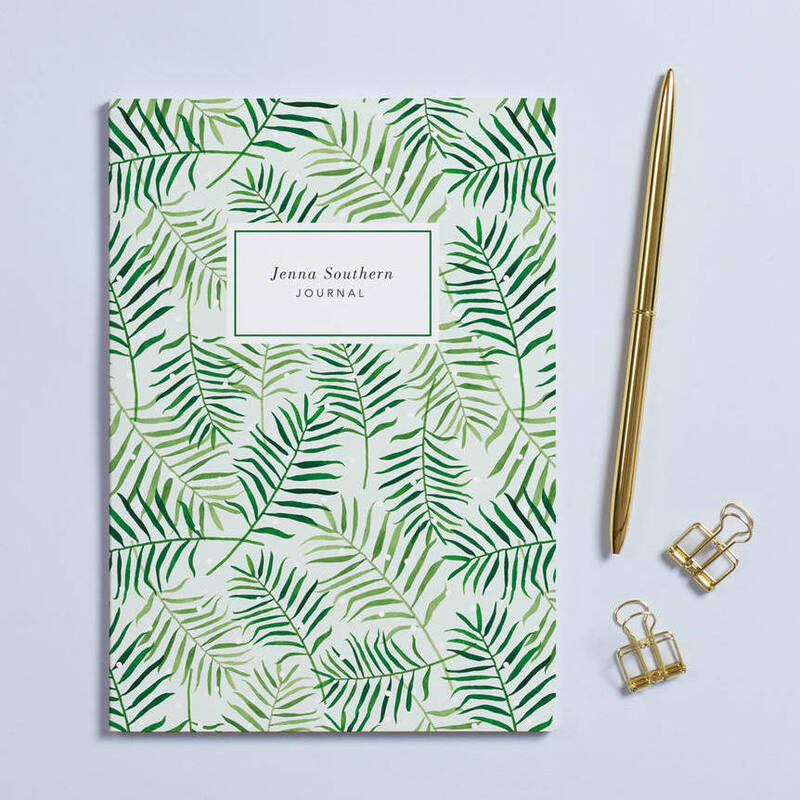 Front cover can be personalised with a name, initials and/or a subject. Matt, Mohawk paper with an eggshell finish. This product is dispatched to you by Papier.